Cool! 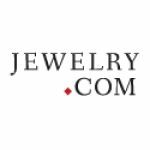 Save an average of 20% on jewelry.com with 46 Coupon Codes, and 4 Deals! Details: Save 25% on all Elle jewelry. Limited time offer. Details: Swarovski Crystal starting at $19 + Free Shipping. Expires on 03/31/2014. Details: Get Whimsical collection of charms from $19 + Free Shipping on any size order. Expires on 03/31/2014. Details: Get 25% to 40% off sale items. Expires on 03/28/2014. 25% Off all Dolan Bullock jewelry. Details: Save 25% on all Dolan Bullock jewelry. Details: Get 25% off all Evert deGraeve designer jewelry. Limited time offer. Details: Get 25% off all Honora designer jewelry. Limited time offer. Details: Get 78% Off Earrings with Blue and White Swarovski Crystal in Sterling Silver + Extra 10% Off when you order 2+ items. Expires on 03/13/2014. Details: Save 25% on all Zoccai 925 jewelry. save on select valentines day splurge gifts. see link for eligible items. Details: Save on select Valentines Day splurge gifts. See link for eligible items. Details: Save 70%-80% on 100 Doorbuster Deals + Free Shipping on any size order . Expires on 03/31/2014. Details: Get Extra 30% Off Clearance items already discounted. Limited Quantities refreshed daily. Expires on 06/30/2014. Details: 25% to 40% off New Spring Arrivals + Free Shipping on any size order. Expires on 03/31/2014. 25% Off Aya Azrielant jewelry. Details: Save 25% on Aya Azrielant jewelry. Details: Get exclusive collection of mardi gras jewels starting at $19. Expires on 03/28/2014. Details: Get Aquamarine, and more icy blue gems starting at $19 + Free Shipping on any size order. Expires on 03/31/2014. Details: Splurge Jewelry Gifts for that very Special Someone in our 2013 Holiday Gift Guide + Free Shipping on any size order. Expires on 12/31/2013. Details: Save 25% on Just Cavelli designer jewelry. Details: Various discounts on select amethyst, lavender Swarovski crystal jewelry, and other shades of purple jewelry. See link for eligible items. Details: Get 25% - 40% off vintage-inspired jewelry + Free Shipping on any size order. Expires on 03/31/2014. Details: Get Extra savings on blue jewels starting at $19. various discounts on select pink jewelry. see link for eligible items. Details: Various discounts on select pink jewelry. See link for eligible items. Details: Get 78% Off Herringbone Necklace in 18K Two-Tone Gold over Sterling Silver + Extra 10% Off when you order 2+ items. Expires on 03/14/2014. Details: Spend Up to $99 and Take 10% Off Your Entire Order with code CELEBRATE at Jewelry.com! Hurry, ends 9/23!